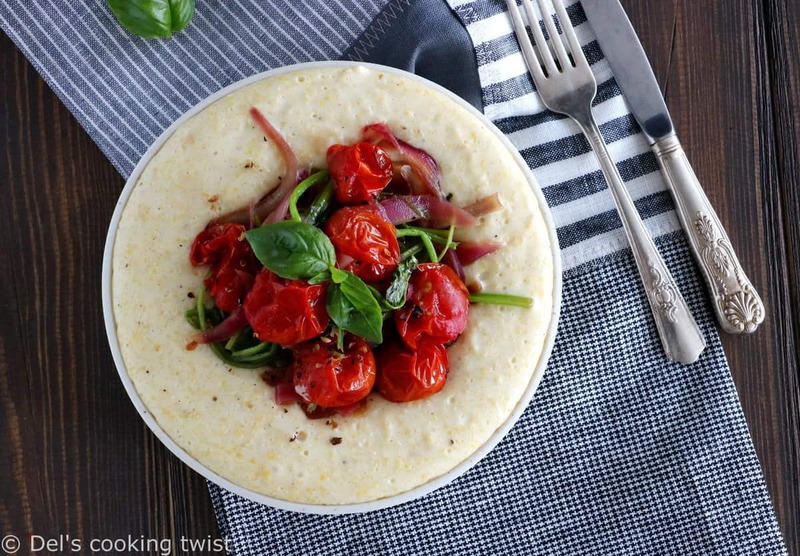 Prepared with oven roasted tomatoes, honey balsamic red onions and spinach, this creamy goat cheese polenta is bursting with fresh, juicy flavors. Polenta is a serious thing, I’m telling you, guys! I was not familiar cooking polenta until recently and it has now become kind of an obsession of mine. First of all, polenta is very quick and easy to prepare so you don’t need to have to plan much in advance, which is perfect for a weekday night dinner. 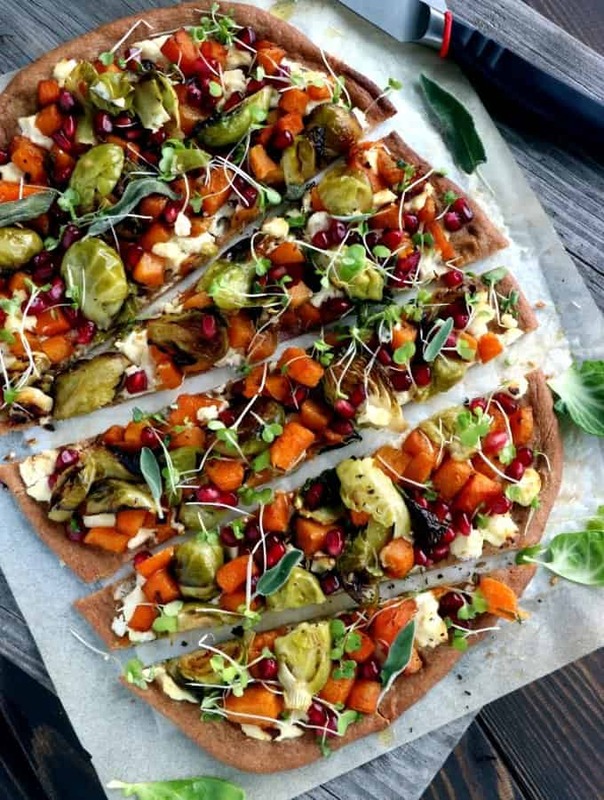 It is also extremely versatile and you can easily adapt the recipe using your leftovers in the fridge – there is almost no way you can go wrong as it is pretty neutral in taste. Just use various vegetables depending on the season, cook them the way you fancy, and serve with polenta. 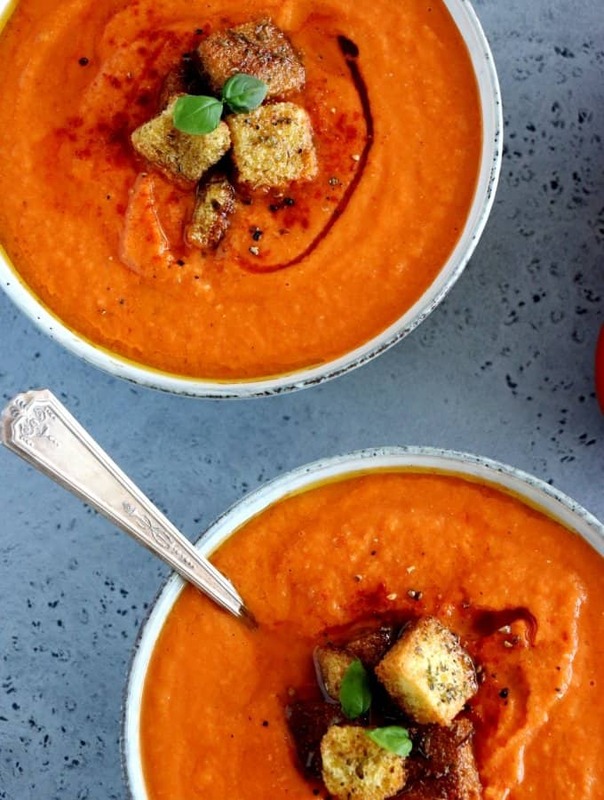 If you are tired of pasta every other day, it’s a great alternative! I fall for its beautiful creamy and slightly sandy texture, which gives some texture to the polenta. Then, my thing is to add some soft goat cheese, which adds a stronger flavor and makes your polenta light and fluffy. 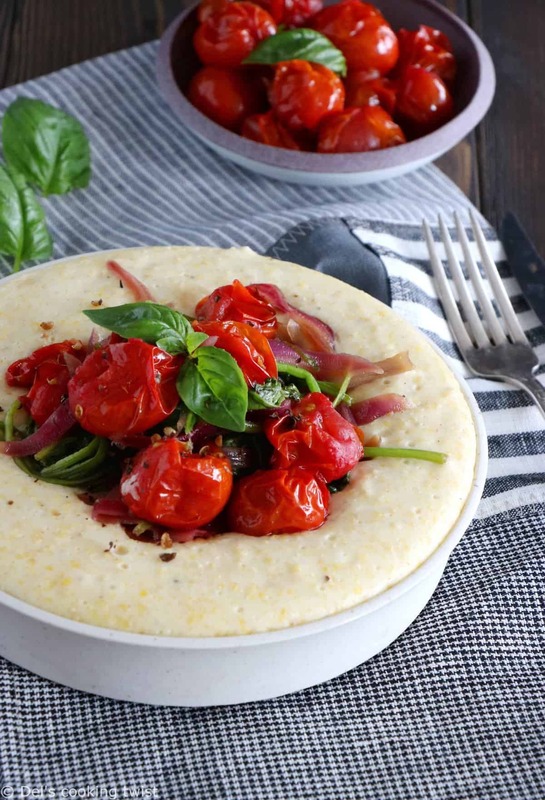 You could of course skip the goat cheese if you are not a big fan of this cheese or if you want to make this polenta vegan (note: you will also need to replace butter with a vegan option). 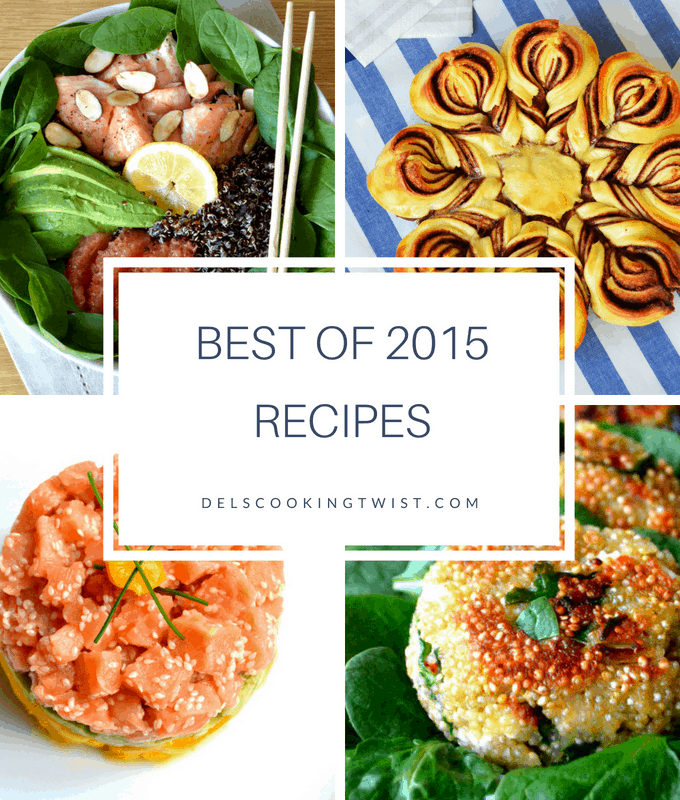 Just keep in mind that polenta is a very versatile dish that you can twist your own way. The other day, as we had visit from a dear friend from Sweden, I wanted to enjoy her company fully without spending too much time preparing dinner in the kitchen. I opened the fridge, found some spinach, cherry tomatoes, goat cheese, and improvised this new polenta recipe you have in front of you. 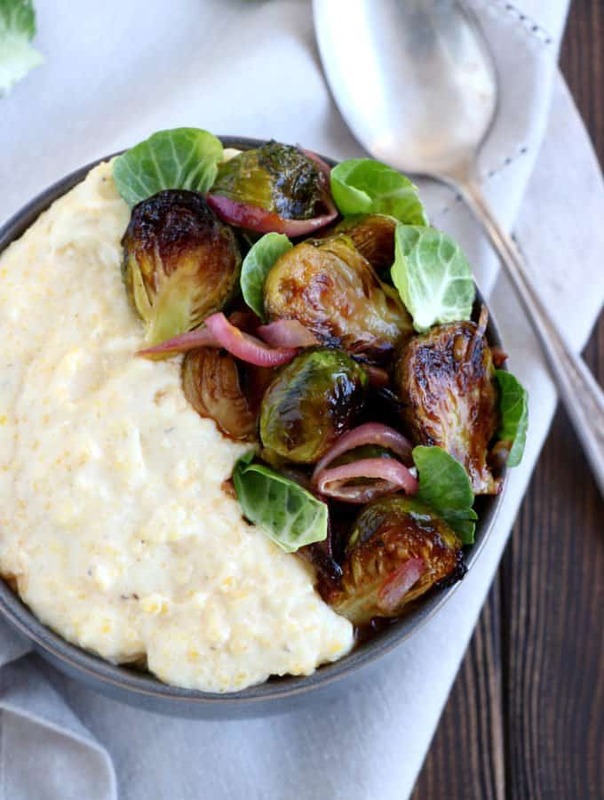 I got most of my inspiration through my previous polenta recipe with balsamic Brussels sprouts that I had published in the beginning of the year (I’m completely obsessed with this recipe by the way; it is so tasty!). As Brussels sprouts are not really in season anymore, I just adapted the recipe with other veggies. To begin with, I roasted cherry tomatoes in the oven with just a drizzle of olive oil over. I let them roast until they burst, about 10 minutes, carefully stirring once or twice to make sure they are roasted on all sides. Once ready, I remove from the oven and season with freshly black pepper and salt. This is an extremely simple seasoning that will enable you to enjoy the juicy tomatoes at their best. Besides cherry tomatoes, I melt red onions in a simple honey-balsamic reduction (as I did for my version with Brussels sprouts) and I add fresh spinach at the very last, as they cook extremely quickly. Turn the heat off as soon as they are tender enough but still vibrant green in color. If you cook the spinach too long, they will become brown-ish and lose most of their nutritional properties. Note that spinach are a great source of vitamin A, vitamin C, vitamin K, magnesium, manganese, iron and folate, among other of the B vitamins, calcium, and dietary fiber. Meanwhile, prepare the goat cheese polenta. There is nothing fancy when it comes to prepare polenta; all you need to remember is to add the polenta once milk and water are starting to boil, whisking often for about 15-20 minutes to avoid lumps to form. Once your polenta thickened, turn the heat off, incorporate butter and soft goat cheese, and stir well. 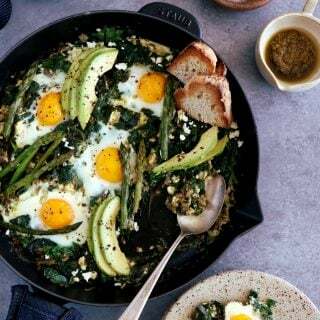 I added here some dry white wine as well to make the dish a little bit fancier in taste – it is completely optional here and up to you to use it or not. The important thing to remember however is to season the polenta, something we tend to forget but that really change the taste of the dish. In the end, you get a pretty simple, yet advanced looking dish, that is perfect either for a lazy weekday night or a fancy dinner with friends. Enjoy with dry wine. Bon appétit! In a medium saucepan, bring water and milk to a low boil. Whisk in the polenta and cook 15-20 minutes until thickened, stirring often. Stir in the butter, goat cheese, and white wine if using, then season with salt and pepper. Set aside and keep warm. Spread cherry tomatoes evenly onto the baking sheet and bake for about 10-15 minutes, tossing once or twice. The cherry tomatoes are ready when their skin has slightly bursted. Heat olive oil in a large frying pan and throw in the red onions until they become translucent. Set aside. In a small bowl, whisk together thick balsamic vinegar, honey, Dijon mustard, salt and pepper. Transfer to a large frying pan and cook until the balsamic thickens and look syrupy, coating the red onions on all sides. Add the fresh spinach and cook for about 30 seconds to 1 minute, until cooked but still green in color. 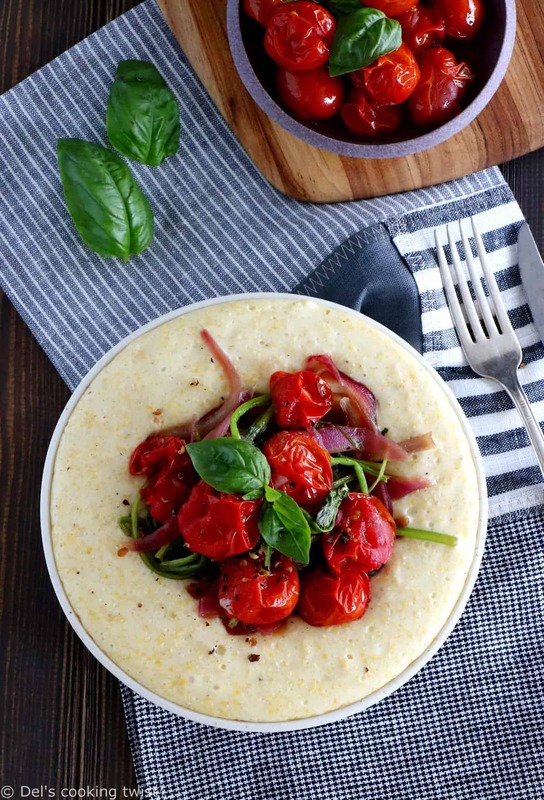 Serve the goat cheese polenta with the roasted cherry tomatoes and the balsamic vegetables. Enjoy!